A variety of career coaching institutes have grown up across the country which imparts training to the students to face the medical competitive examinations like NEET, JIPMER, AIIMS and other ones. The quality of faculty, method of teaching, the infrastructure and amenities provided, the course fees, the course duration, the eligibility of the students vary from coaching centre to coaching centre. However, there is a handful of them whose practices yield good results. Since parents have to pay huge amounts of money as tuition fees for the training that the coaching institutes provide, it is tough decision to count on a single one. The decision should strongly depend on the past results and the feedbacks from the existing or ex-students of the institute. BTRIX is one such institute located at the education hub of the country Kota and has been producing great results right from the inception The BTRIX Medical Classes takes pride in following a target oriented approach in preparing the students to face the medical competitive examinations. If a student is looking forward to serious preparation for cracking the medical entrance examinations like NEET, then considering BTRIX Medical Classes is really a good option. The BTRIX Medical Classes has adopted a target oriented approach in the preparation of the students and has maintained a strict timing for the students since inception. The institute takes pride in imparting the maximum amount of quality knowledge in a very less amount of time. The training sessions also equip the students to face their board exams as well along with tackling the medical competitive examinations like NEET, AIIMS etc. BTRIX Medical Classes stick to their core values of determination, honesty, humanism, authenticity, integrity, devotion and holistic learning. BTRIX Medical Classes have highly experienced faculty members and staff who have put in maximum efforts to design the courses and test series. The syllabus is completed strictly in time to avoid last-minute rushes. This also ensures that the concepts of each student get clarified as early as possible. The BTRIX Medical Classes family consists of a set of highly experienced subject experts who are determined to impart the best education to the students. They aim at providing all the tips and tricks so that the preparation level of the students is optimized and they can face the competitive exams with ample confidence and do well as well. The faculty members also design the study materials which covers every single concept with minute details. The study materials also make the students acquainted with the question pattern of the entrance examinations. The study material is packed with questions to ensure that no section of the course is left untouched. The faculty members complete the course in time so that the students get enough time for practice and revision. They give personal attention o every student which results in a family like feeling in the institute which ultimately results in better learning of the students. There are three different courses for the students apart from the Distant Learning Programs. The Nurture course is specifically designed for the Class X students who are moving to Class XI. Students enrolled in this course get to learn the concepts right from the grass root level so that they come up with strong fundamental concepts. The Enthuse course is designed for the Class XI students moving to Class XII and the Achiever course is designed for the XII pass out students. Both these courses including rigorous training sessions since the time duration for these courses is less. The Distance learning Program is a great offer for all those students who wish to receive quality training but cannot attend classes at the Kota Study Centre. The test series at the BTRIX Medical Classes is named as Midas Touch and it includes about 101 different tests. By the time a student has completed giving all these tests, he shall be prepared to face the real examinations. The time duration for each of these tests is 15 minutes less than the original examinations so that the students can get sufficient time in the real ones. In the due course of giving tests, the students are exposed to a question bank consisting of about 18000 questions. The test syllabus comprises lessons from the start itself to ensure that the students carry out the required revision before each test. All these test papers conform with the original examination pattern of NEET and AIIMS examinations. The fees vary from course to course. But all the fees are decent and can be afforded by most of the people. The BTRIX Medical Classes offers great price to result in ratio which is the strong factor for every medial aspirant. The BTRIX Medical Classes also organizes a Scholarship Test. Any student who appears the scholarship test and gets through with good marks can avail exciting discounts on the course fees. The institute also has easy and quick refund policies for the students. BTRIX Medical Classes has been producing great results and many students have got top 100 ranks in the NEET and AIIMS examinations. Some of the glorious results under the banner of BTRIX Medical Classes include Mridul Sharma (AIR-5 AIIMS 2016), Ekansh Goyal (AIR-9 AIIMS 2016) and many more. The qualification ratio of the students have reached as high as 100 which is indeed a milestone for any career coaching institute. With Standyou students can follow an easy registration process. They would get each and every detail regarding the coaching institute. For various discounts and offers pertaining to fees, scholarships etc can be known via the Standyou platform. 2K-17,Vigyan Nagar, Kota, Rajasthan - 324005 . How do you rate Btrix , Vigyan Nagar , Kota ? 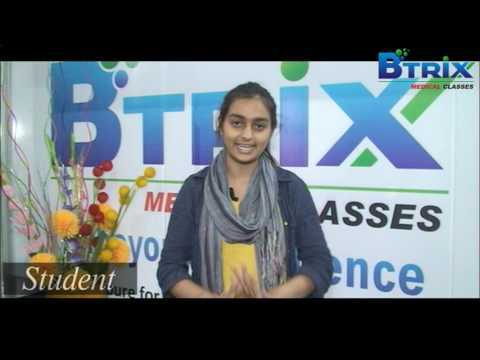 "Best decision I have taken that I joined Btrix Medical Classes, Kota. Akhilesh Dixit Sir is the awesome mentor and best faculty of Kota "
"Btrix is having good teaching methodology and its best institute for biology coaching as it is run by ad sir. " "The kind of effort all the teachers put in at Btrix Medical Classes is fantastic Specially Akhilesh Dixit Sir. " 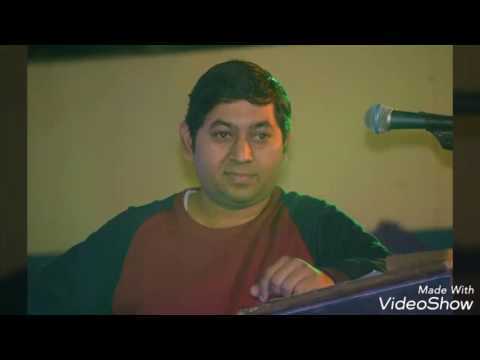 "AGAR AAP DOCTOR BANANA CHATE HO TOH AANKH BAND KAR KE BTRIX AA JAO..bcz aur sb jagah sirf croud hai padahi nai." "A truly student oriented system.. "
"I reason of my selection in Maulana Azad Medical College is Btrix Medical Classes. The hard word of faculties on me gave this result to me. " "Btrix is best,for meritorious and average students as well.student care and interaction with teacher are unwatchable.. "
"It is just a hoax institute which just wants to give results by mere talks Not at all good for medical aspirants totally useless.i was a student of it last year and my experience was really pathetic and terrible. It's a brat institute. "